Laws that prop up Florida homeowners and condominium owners associations always have been arcane. But now the system's gaps are being exploited to make a quick buck — and often hurting renters in the process. Legislators should reconsider the complex system it uses to keep community organizations solvent and update its homeowners association laws. The Tampa Bay Times' Susan Taylor Martin last week highlighted that for all the hand-wringing over the sluggish pace of Florida's foreclosure process, some individuals are making out like bandits. The scheme takes advantage of a law that was aimed at keeping homeowners associations afloat when members fail to pay dues amid foreclosure. Under the law, the association has the right to auction off the property's debt to the highest bidder, who then receives the property's title in return. That title essentially makes them a third party in the ongoing foreclosure case between the property owner and the mortgage holder. In the best case scenario, the third-party title holder maintains the property and is allowed to rent it out, receiving income. 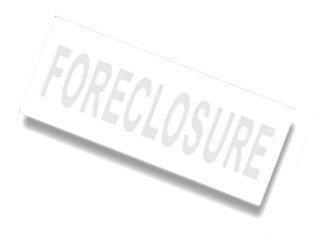 But they are required to turn the title over whenever the property is officially foreclosed on by the bank. Their gamble is that they can collect enough rent to make their investment worthwhile or, more rarely, negotiate a short sale on the property with the bank and keep the property. But in dozens of cases in Tampa Bay, enterprising individuals have figured out another way to keep the cash coming, particularly as banks have been notoriously slow in foreclosing. They shift the titles to another business entity, which then declares bankruptcy, further stalling the foreclosure process on the homes while they keep collecting rent. Martin found in just one case, three Tampa men, including convicted Medicare fraudster Barry Haught, shifted 44 properties to a limited liability partnership that declared bankruptcy 18 days later. Beyond that insult, the company hasn't held up its end of the bargain to maintain the homes and pay association fees. Martin found tenants living in homes without working appliances and damaged roofs, and homeowners associations are now watching new debt accrue. It's still unclear just how the bankruptcy court will handle the matter. The bankruptcy trustee, for one, isn't buying the scam. But the scheme is made possible only because of Florida's laws that allow the auctions in the first place and the banks' moribund foreclosure processes. The laws are a product of Florida's rapid development starting in the second half of the 20th century, where private developers established homeowners associations to assume many of the duties that in previous eras might have been handled by government, such as building and maintaining roads, community pools and street lighting. Lawmakers reasoned such community associations needed a recourse when members didn't pay so the burden wouldn't shift to everyone else. But that works only if banks are also on the ball and closing quickly on foreclosures. The Legislature should reconsider this construct and whether it can at least bar auction winners from transferring the title before the foreclosure is complete, or otherwise require them to forfeit titles when they fail to maintain properties or pay taxes or association dues. Lawmakers should also consider protections for renters who are stuck in these properties. The Legislature needs to slam the door on such scams.